The Spider Web Wrap is ready for you to spin up on your hooks!! You will be able to make this quick and easy project faster than anyone can say Trick-or-Treat! Using all double crochet stitches we will make the wrap first, then add the lines that section off each corner using surface crochet stitches. -The measurements are: approx. 50 inches across and about 25 inches long. You can make this bigger or smaller if you want since it is a repeat pattern. -You can use any type of yarn for this project. Gauge is not important. Row 2: Ch 2 (does not count as a st), 2 DC in first st, *DC in each st until next ch 2 sp, [DC, Ch 2, DC] in ch 2 sp repeat from * until one st remains, put 2 DC in last st. Turn. Rows 3-36: Repeat Row 2 until your piece is as long as you want it to be. Change color for rows 6, 12, 18, 24, 30 and 36. Your last row should be a row of white. How is everyone on this *boo-tiful* day? For some time, before I release these Punny Valentine projects, I spend a *spooky* amount of time *haunting* around for ideas. A lot of the ideas get the *boo-t*. That whole “what *ghost* up must come down” happens with a lot with my ideas. I get excited for some, and then some fall flat! Many take *float* in my mind and are a *scream*! You can *scare* up inspiration from anywhere and make it a pun. Some things won’t have a *ghost* of a chance, but it *ghost* to show you that many things can! Ghost: With White, work in BLO and in continuous rounds. Rnd 22: [SC2TOG] 6 times. Arms: Make 2 with White. Work in BLO and continuous rounds. Crochet over Paper Mache!! Just in time for Halloween, I demonstrate how to crochet over this skull form made from paper mache. This is the perfect eerie accent for any Halloween party or event. Adding additional accents such as beads, bedazzle, and flowers can take a plain skull to a sugar skull in a few easy steps! Take a piece of yarn and tie it to inside of eyes and cinch it to the inside of the skull by tying a very tight knot. See video tutorial for visual instructions on this part. Take a piece of yarn and tie it to inside of each cheek and cinch it to the inside of the skull by tying a very tight knot. Rnd 32: [SC2TOG] 5 times. Many times I have made suggestions of ideas on what you can make using the squares from our 365 Days of Granny Squares. Recently, I designed the Spinning Spider Granny Square (Number 266) and The Web We Weave Granny Square (Number 246). I began thinking about a project that I could make to tie these two in together that would work for a table runner or other Halloween related item. I decided to create a look that has the spider spinning from the web. Doing that required a bit of adjustment on the placement of the spider on the square. In my original Spinning Spider Granny Square Video Tutorial, I demonstrated how to make the square with the spider running vertically on the square. In the Table Runner, I made a few stitch adjustments, I turned the spider to go on a diagonal to achieve the desired results for my finished work, allowing me to run Slip Stitches creating a web strand from the bottom (spinneret) of my spider to the Web square. Please see the video tutorial for instructions below to make this adjustment. Then, I created duplicate sets of square Numbers 246 and 266 of our 365 Days of Granny Squares to create the ends of our runner. I combined these blocks with the solid granny square (Number 2) that I used with various color combinations of black and orange or black and white to match the other squares in this project. Note: You do not have to make these adjustments nor use my colors. This is creator’s choice. This video is a tutorial on how to assemble the squares and add the border detail to finish off this great Halloween table runner. You will find the links and videos to the squares that I have already filmed prior to this project. Not interested in the runner? Why not make additional squares to make a lapghan or blanket? Let your imagination be your guide. Get the full kit of supplies here!! -You can attach your squares any way you’d like, I do the whip stitch, but you can do any stitch you prefer. For round 6 on the solid granny square, use Half Double Crochet instead of Double Crochet to have the same size as your other squares. See video tutorial for starting point. Sc in same sp, *sk 1 st, 5 DC in next, sk 1 st, sc in next, repeat from * until next corner, sc in next 2 sps, repeat from * again until end of table runner, put 5 DC in that space. Again, watch the video tutorial for clear specific visual instructions. Like this table runner? Try making the Star Stitches and Stripes Blanket! This Halloween season I’ve been seeing a lot of these Sugar Skulls on display, and they are seemingly becoming more and more popular. The Sugar Skull originates from a tradition born in Mexico. Skulls are decorated in bright colors and would be filled with chocolate candy or other sugary treats. This is a symbol of life, taking something that is commonly associated with death, decorating it with beautiful accents. Thus giving it a new lease on life, such as life after death. It’s a celebration commemorating Dia De Los Muertos. This is my crocheted version of the Sugar Skull. Feel free to get as creative and decorative because everyone is different and there is such a great variety in this art! 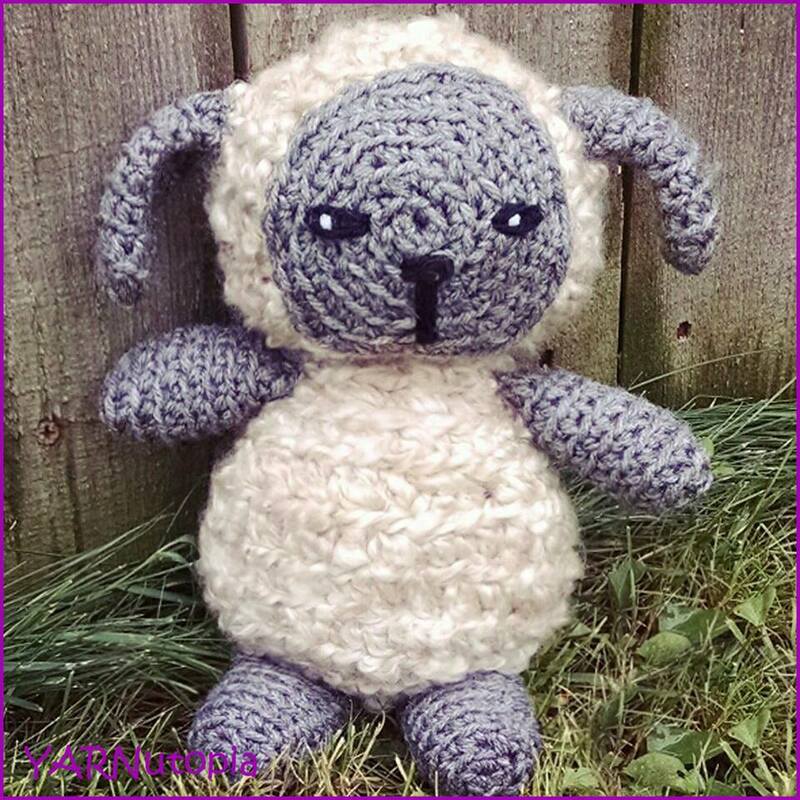 Enjoy the free pattern at the end of this blog to make different sizes! The video tutorial shows size LARGE ADULT. Round 11: DC in first 20 sts, ch 5, sk 5 sts, DC in next 4 sts, ch 5, sk 5 sts, DC in last 20 sts. Starting bottom portion of skull, working in rows. Row 16: 2 SC2TOG, sc in the next 2 sts, DC in the rest of the sts until there are 6 sts left, SC in next 2 sts, 2 SC2TOG, ch 1, turn. Row 18: 2 SC2TOG, sc in the rest of the sts across until there are 4 sts left, 2 SC2TOG, ch 1 turn. Rows 19 & 20: Repeat row 18. Change to BLACK yarn and sc around entire hat. SC around eye holes with BLACK yarn. Round 13: DC in first 23 sts, ch 5, sk 5 sts, DC in next 5 sts, ch 5, sk 5 sts, DC in last 22 sts. Row 18: 2 SC2TOG, sc in the next 2 sts, DC in the rest of the sts until there are 6 sts left, SC in next 2 sts, 2 SC2TOG, ch 1, turn. Row 20: 2 SC2TOG, sc in the rest of the sts across until there are 4 sts left, 2 SC2TOG, ch 1 turn. Rows 21 & 22: Repeat row 20. Round 15: DC in first 22 sts, ch 6, sk 6 sts, DC in next 6 sts, ch 6, sk 6 sts, DC in last 22 sts. Row 20: 2 SC2TOG, sc in the next 2 sts, DC in the rest of the sts until there are 6 sts left, SC in next 2 sts, 2 SC2TOG, ch 1, turn. Row 22: 2 SC2TOG, sc in the rest of the sts across until there are 4 sts left, 2 SC2TOG, ch 1 turn. Rows 23 & 24: Repeat row 22. Round 16: DC in first 24 sts, ch 6, sk 6 sts, DC in next 6 sts, ch 6, sk 6 sts, DC in last 24 sts. Row 21: 2 SC2TOG, sc in the next 2 sts, DC in the rest of the sts until there are 6 sts left, SC in next 2 sts, 2 SC2TOG, ch 1, turn. Row 23: 2 SC2TOG, sc in the rest of the sts across until there are 4 sts left, 2 SC2TOG, ch 1 turn. Rows 24 & 25: Repeat row 23. Ch 25 or an amount that will fit around eye hole, sl st to first ch to form a circle, *ch 3, sl st in 3rd ch from hook, sk next ch, sl st into next ch, repeat from * around, sl st to beginning and fasten off with a long tail for sewing. Ch 7, sl st in 2nd ch from hook, sc in next, HDC in next 2 ch, DC in next 2 sts, Sl st in the same ch as the last DC, Fasten off with long tail. Sew onto hat. Rnd 2: 4 DC in next st, sl st to next st, repeat from * around until you have 5 petals. (see video for visual instructions). Fasten off with long tail for sewing. Repeat Rnd 1 of flower. Fasten off with long tail, sew to flower. Rnd 2: HDC in same st, 2 DC in next st, 2 HDC in next st, SC in next 2 sts, SC & HDC in next st, HDC & SC in next st, SC in next 2 sts, 2 HDC in next st, 2 DC in next st, HDC in last st, ch 2, sl st in same st. Fasten off with long tail. Sew to hat. Add as many jewels as you’d like to make your hat fancy. “I always feel like somebody’s watching me, and I have no privacy!” You’re going to feel that way too, when you make yourself a set of these creepy plush eyeball amigurumis! This is an EXTREMELY simple, but fun project where multiples can be created in a short period of time. I made these for a Halloween party that I have coming up, but the ideas for these are limitless! Not only can you use these for spooky decoration by placing them in a jar or scattering them on the buffet table or giving them away for party favors for kids, but you can also use these for fun games like bean bag toss (fill them with beans or rice instead of poly-fil). These would be great for juggling. Attach a jumpring to a key ring and you can make a keychain! You can fill it with flax or rice and make a hacky sack. If you do not want to make the eyeball design, this is a great way to make a small sphere. You can make these in solid colors, or multiple colors. If you make these in holiday colors, they would fit with any time of year festivities! These are just a few of my ideas, but we have such a creative crochet community, I’m sure you can come up with more. Leave a comment with your ideas! Today’s blog includes an easy to follow instructional video as well as a FREE written pattern. Let me see your creativity at work! -View video to show how to change color. This is a very easily adaptable pattern that can be transformed into many items besides the trick or treat bag that I originally am making this bag for. It can be made into a tote bag, a handbag, purse, laptop case, iPad case. You can add a drawstring by weaving it through the top of this bag and omitting the handles. There are SO many ideas in one pattern! Another fun idea with this pattern is to use the base bag and change up the embellishments and colors to make all kinds of neat Halloween fun trick-or-treat bags that will stand out and last for years to come! Follow this video tutorial to learn how to make your own bag today!